3173 is one of two 'BR' type generators owned by the RPSI. 3173 was originally built for British Railways by Charles Roberts & Company, Wakefield, as Mark 1 Brake Composite Corridor coach W21146, delivered in 1956. As built, the carriage included a side corridor with five compartments making up approximately two thirds of its length; this was followed by a guard's brake compartment and a luggage area. It would originally have been used on BR's Western Region, painted in that region's chocolate and cream livery, and no doubt saw service behind a variety of ex-Great Western Railway steam locomotives along with early BR diesels. It was later transferred to BR's Midland Region, with the 'W' prefix becoming 'M' as a result. After serving BR for just over a decade and a half, 21146's fortunes changed in the early 1970s when it was sold to CIÉ as part of a batch of 22 ex-BR Mk1 vehicles to be converted for steam heating and generator duties. 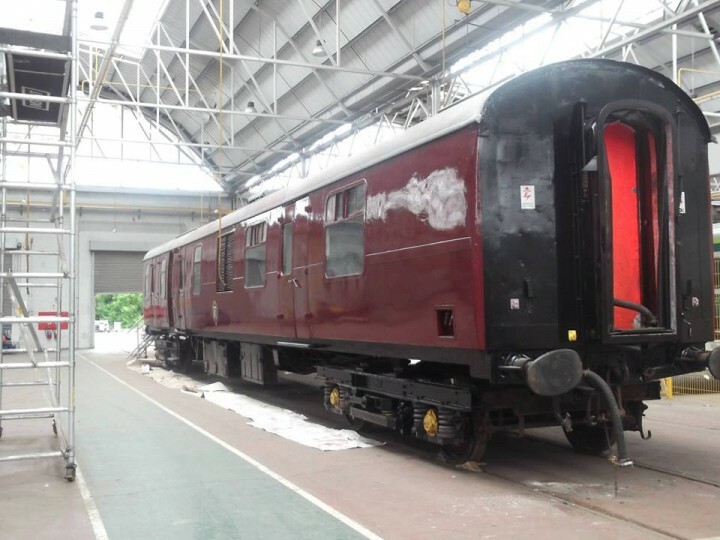 This conversion took place at Derby works in 1971, and was tied in with the order to supply a series of new Mk2d 'Supertrain' coaches to CIÉ, examples of which are preserved at our Whitehead base. The decision to go to British Rail Engineering Limited (BREL) rather than the Dundalk based S&S Engineering (who had supplied the 'Dutch' type heating vans in 1969) was controversial enough to become a topic of debate in the Dáil at the time. As part of the conversion process they were fitted with a spanner heating boiler, generator set and a water tank at each end. 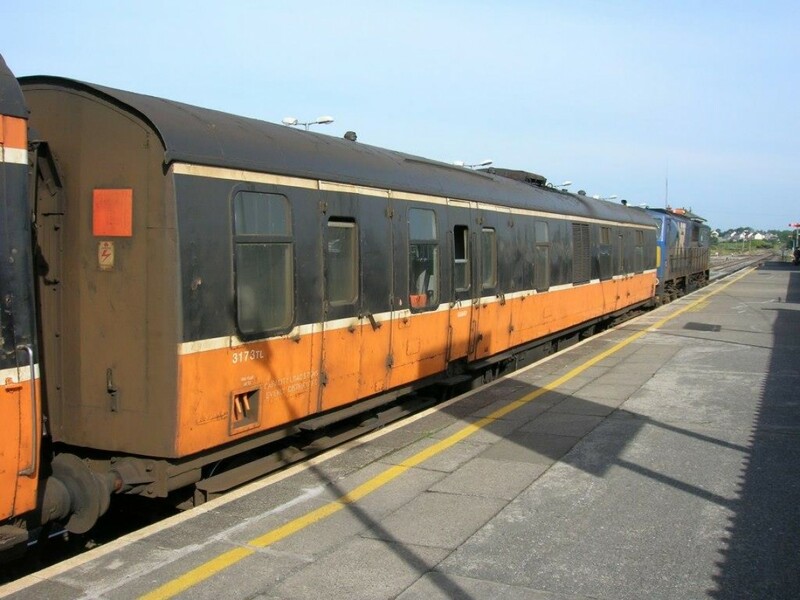 Delivered in grey undercoat on board the "Cambridge Ferry" in 1972, 21146 became 3173 under CIÉ and was painted in CIÉ's black & tan colour scheme in Inchicore Works. The arrival of this fleet allowed the older four-wheel heating vans to be withdrawn. 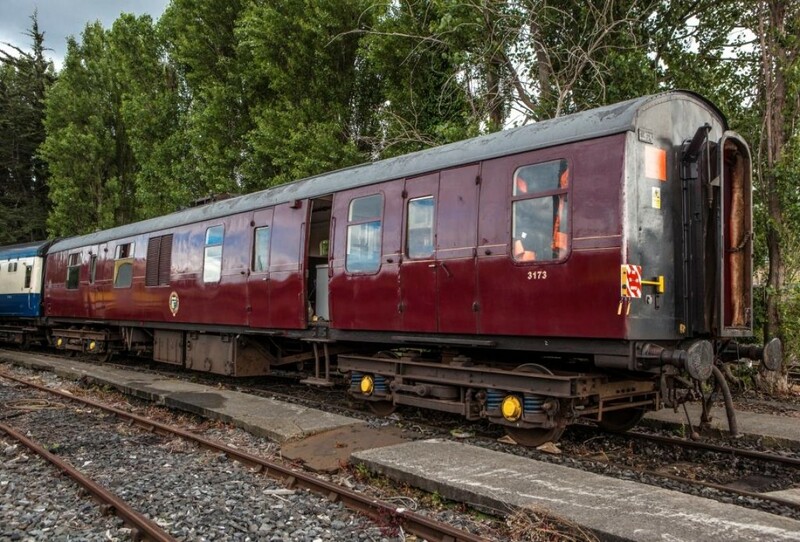 3173 would go on to see just under thirty-five years of service with CIÉ and (Irish Rail/Iarnród Éireann after 1987), heating a variety of coaches from 1950s built Laminates and Park Royals to the Cravens of the 1960s. The BR vans and Cravens were gradually phased out over the course of 2006; 3173 held sway to the very end, finishing up on the last locomotive-hauled Ballina branch train on 9th December 2006, in the company of Cravens coaches 1506 and 1516. The set shortly after transferred to Inchicore, with 3173 and 1506 being acquired by the RPSI for preservation in early 2007. With 3185 as the active van for Dublin operations, 3173 transferred to Mullingar shed with Craven 1522 on 11th May 2007. 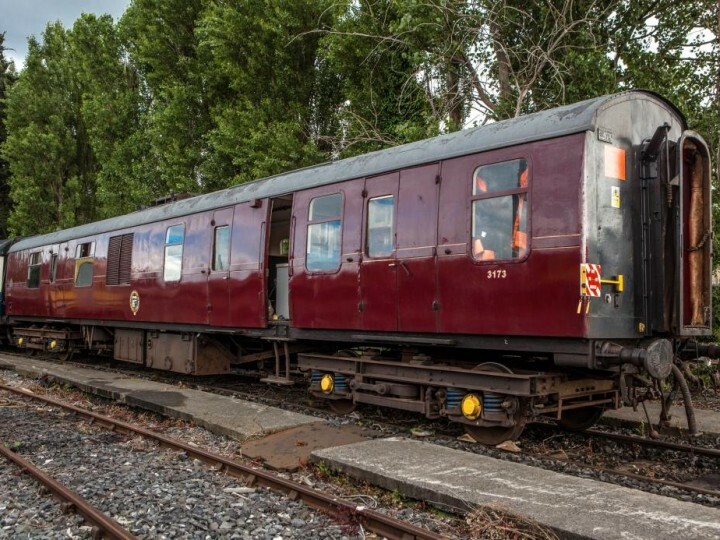 With the Mullingar team focused on the renovations of Cravens 1522 as a diner and 1514 as a bar car, it would be early 2011 before much attention could be given to 3173. A four year refurbishment then began and during this time 3173 has had its bodywork overhauled and interior fitted with crew facilities. 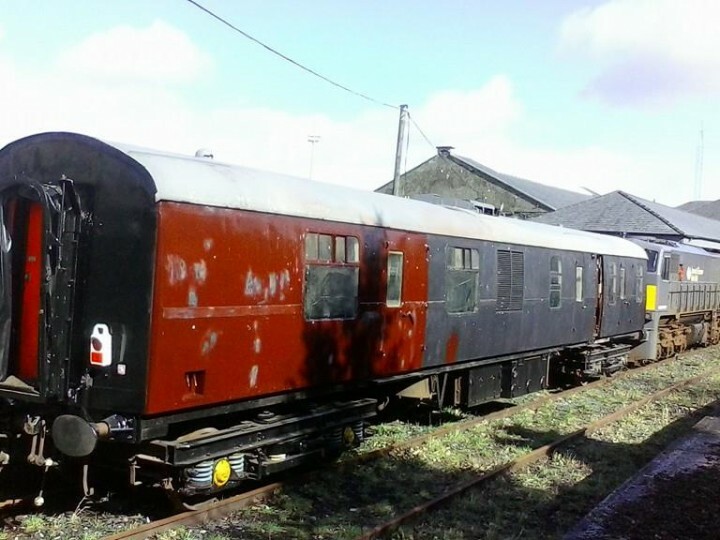 In March 2015 it was transferred to Inchicore for final painting, and it is hoped that it will enter service during the 2015 season, allowing 3185 to be retired for overhaul. There are a few detail differences between the two vans, most notably the guard's box in 3173 is less centrally placed than that in the Derby built 3185. 3173 also sports a John Deere generator, versus the Lister example in 3185. Painting of generator van 3173 was completed in mid-May 2015, with Society crests also applied. 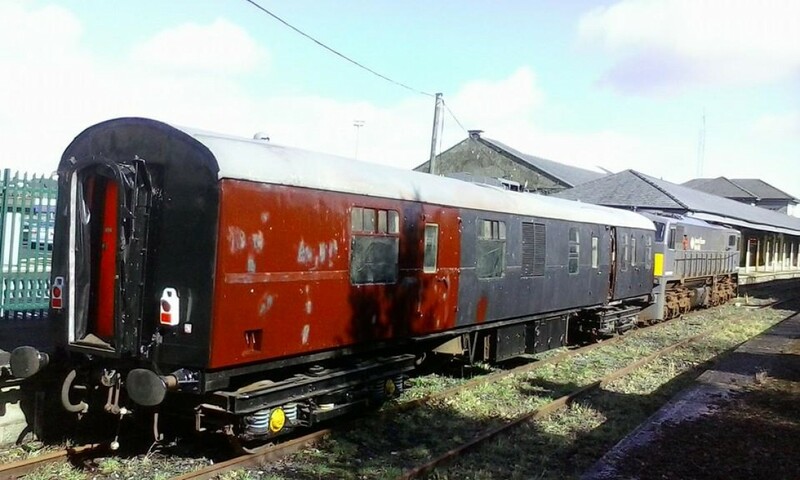 On Monday 18th May it was shunted out of the Carriage 1 shop at Inchicore and has joined the running set for the first time since acquisition from IÉ in 2007. 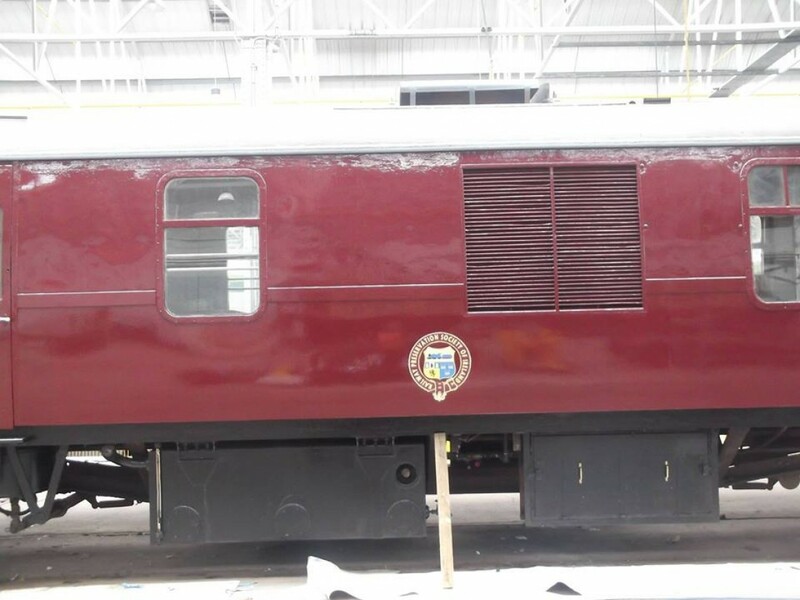 Testing and completion was carried out for its first service on a private charter on 29th May.